Be sure to share your favorite posts on social media. To share this info, use the buttons on the right. Help us teach the world. I found this white structure in a NASA moon photo last night and just wanted to share it with everyone. The structure has 90 degree angles and you can also see its incredible thickness. This is a ship and a building combined. It wasn't designed for looking sporty or for battle, but instead appears to be made mostly for being a mobile home of sorts, able to move from planet to moon at a whim. A lot of people say these are mining structure, but I honestly don't think that aliens need this many mining structures and I never see dug out hole areas, like earths mines make. What its doing and if anyone is still occupying it...we may never know. 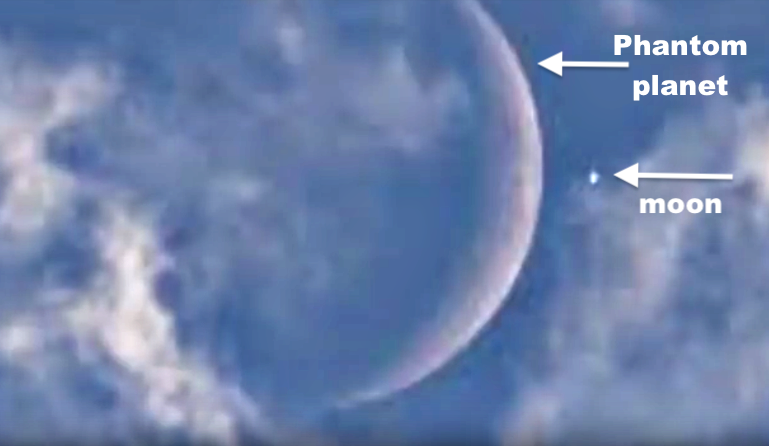 This particular UFO appears to deliberately move down into the cover of the clouds. 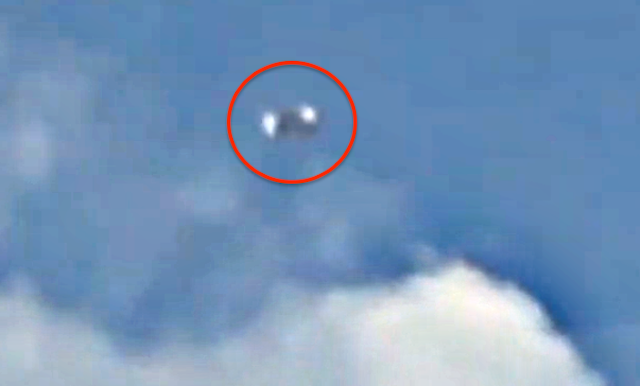 The fact that we see a grey metallic surface makes me wonder...usually alien UFOs have up a shield when hiding...which is usually semi transparent. I do not see that here. Nor are they taking on the color of the cloud, which is odd, because the shield around the craft should be reflecting a similar color on purpose. I think this is a USAF TR3B experimental craft or one of the evolutions of that craft. Its appearance makes me think its a pilot from a secret military base who decided to see if he could get away with flying over a populated area. I have known many pilots in my day when I was in the USAF and painted B1 and B2 bombers. Right now I have a friend who is a general in Taiwans DOD who is a F16 fighter pilot. The pilots do get cocky, because its just a lot of awesome power for one person to have. 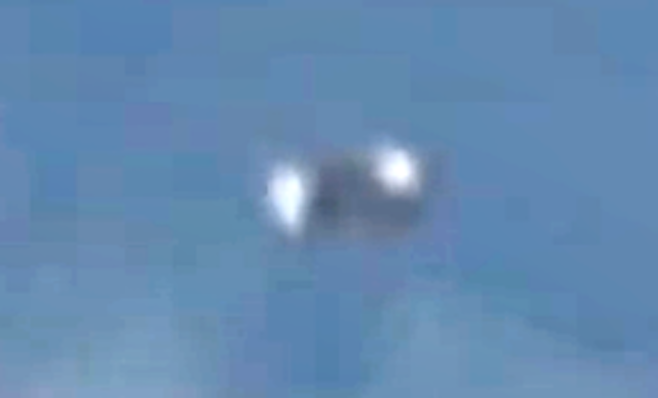 So, I think this is just an USAF experimental craft with alien tech propulsion in it. When Meem Bercier & Teo where driving on the way out of a town called The Pas in Manitoba they noticed this shiny silver Craft. She managed to film this clip before as Meem states "we watched it go up our Main Street." 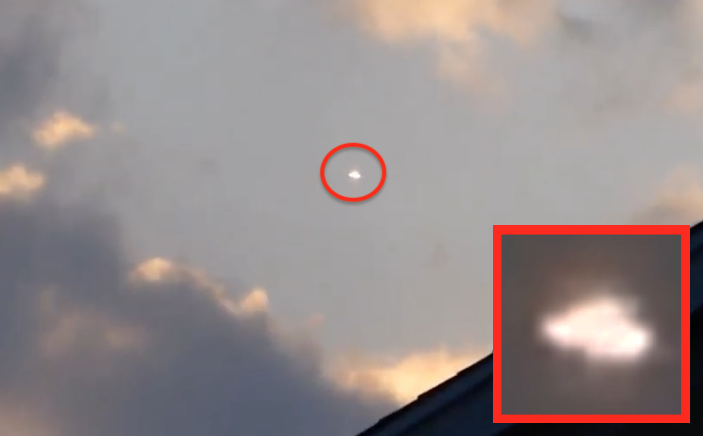 Glowing Orb UFO During Sunset In Slovakia, April 19, 2019, Video, UFO Sighting News. This UFO orb was recorded by Martin Mikuas of Youtube this week. 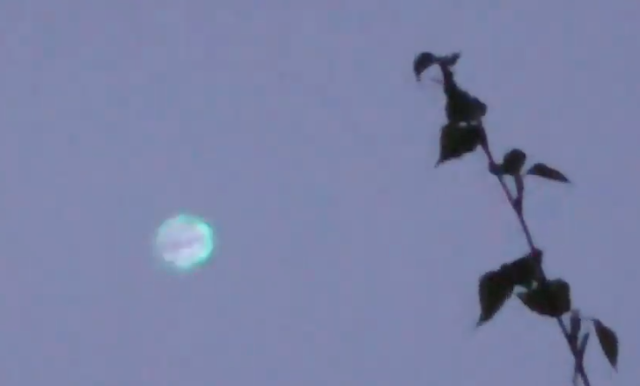 The orb seems to be semi translucent and has an ever changing opal surface. 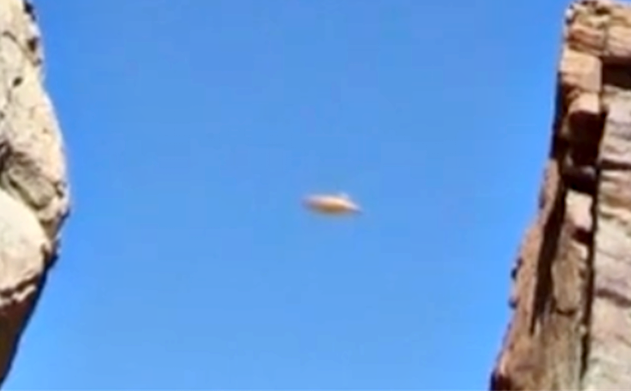 These UFO orbs are seen around the world and could be any size from a baseball to a 747 size. I personally have seen both sizes close up, so I know such things exist. Outstanding catch. 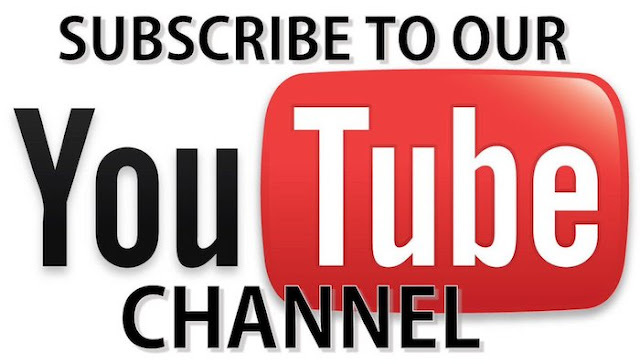 Please Help Me, Subscribe To My Youtube Channel For Video Updates, UFO Sighting News. 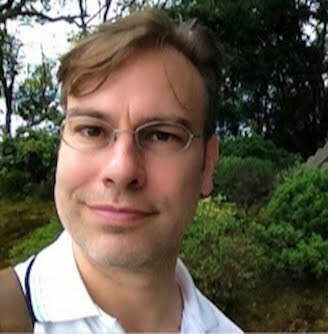 Please help support my work by following my Youtube channel. This would really encourage me and make me feel like I am making a difference in the world. I don't often ask for help, but every single subscriber means a lot to me. Please help me. Click this link to subscribe to my channel. Watch this video and listen to the father holding the camera while trying to keep the children around him calm. The family is taking about the UFO after seeing it fly into a cloud to hide. The UFO obviously sensed that it had been spotted, because it stayed there for a few seconds, the decide to leave to a larger cloud. Thats when the family really got excited and everyone knew from its speed, color and shape that it was an alien craft. You can hear one kid yelling, "where you going UFO?" 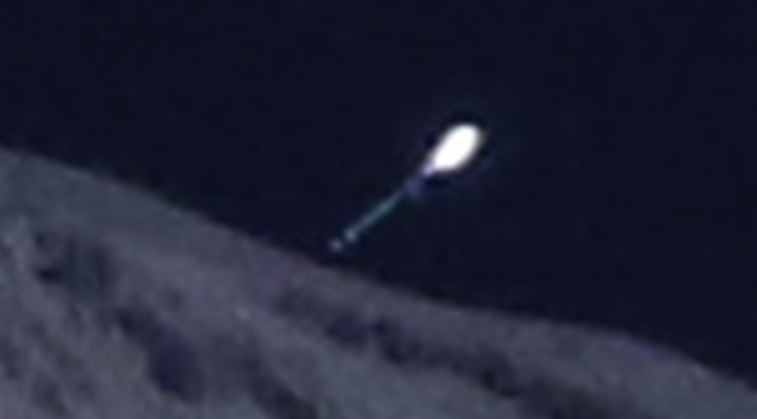 This type of UFO is the most common in the Colorado Rockies area. White balls of light that change shape and direction fast. They are frequently seen almost on a monthly basis moving through the sky and mountain tops. Also the fact that its sunset, which is the #1 most common time to see a UFO due to the fact that anything flying will have the reflection of the sun bouncing off it at a 90 degree angle causing it to light up like a roman candle. 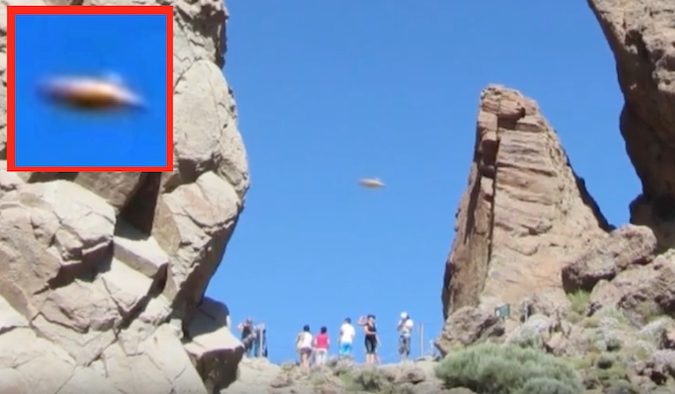 This sighting is 100% real, and I am very excited I finally get a decent video of the Colorado UFOs. Famous for their white ball shape that changes shape and moves many times faster than a jet, changing directions suddenly. This ancient bone was discovered by Michael Tellinger of Youtube. 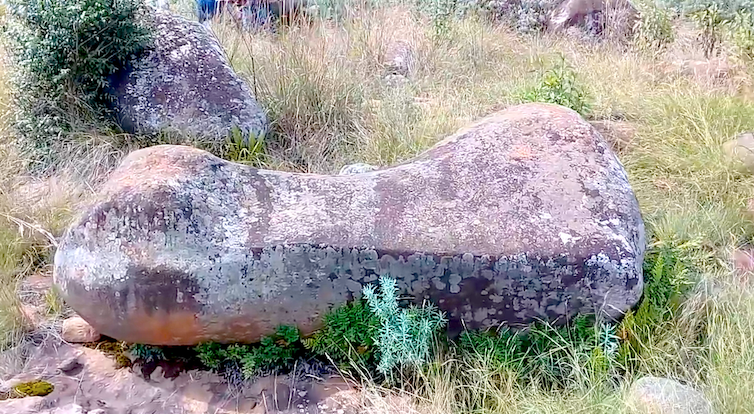 He lives in South Africa and stumbled upon an giant ancient fossil of what he believes is a giant humanoid. I have to admit this does have the joint structure and the design of a giant bone. Remember that a fossil is a bone turned to stone, so fossils are rocks. This does have all the signs of being a fossil, but of what creature and what could possible be so big that it would have bones of such size? This does actually look like a hand or foot bone...so if it was 2 meters long, then that would make the person about 80 meters tall or more. That is huge, and honestly, this does look to be hundreds of millions of years old. There is no proof that this isn't a bone of a giant humanoid. But the shape, dimensions, and age seem to sway it to being real. I am excited to share this beautiful fossil bone of a giant humanoid or some other creature found on 21 April 2019 among the ruins of South Africa. I was looking at some NASA photos and discovered that this astronomy photo of the day was actually chucked full of aliens structures. I took the photo and added a lot of light to it so that I could find other objects in the photo. 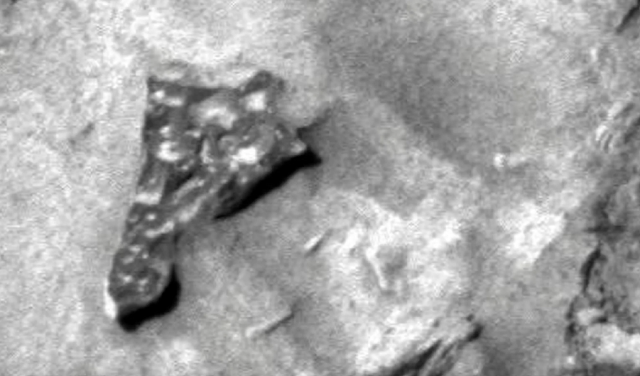 I found that Saturns moon Titan had long black structures behind it. 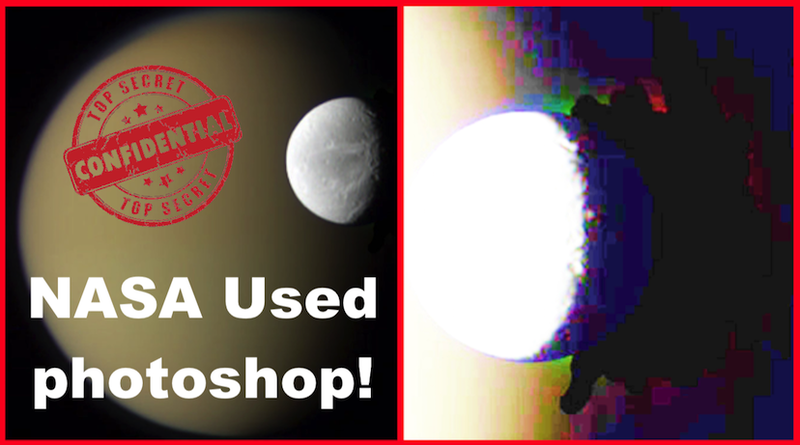 So either NASA used photoshop on this moon, which I doubt, or Titan is an artificial moon created by aliens to mislead inferior species into believe its a moon. Its not impossible to tell. If you notice the green and red color behind the moon Titan you will understand that those colors must be coming from the black structures of the back of Titan, that the green and red colors would not photoshoped into the photo. There is no reason to add those colors, so I believe these to be alien structures. Mount Shasta in the Wikipedia says, "it is often said to hide a secret city beneath its peaks. In some stories, the city is no longer inhabited, while in others, it is inhabited by a technologically advanced society of human beings or mythical creatures." It is correct. Even 40 years ago, yeah...I'm old. I was told as a kid he stories of beings that lived below Mount Shasta, One of which is suppose to be the legendary Saint Germain who famous for starting the new cultural Age of Aquarius, also called Master Rakoczi. Many people claimed to have seen and spoken with him on the mountain. I call it an advanced alien race that is spiritual in nature and mostly keeps to themselves below Mount Shasta. These photos are proof that the aliens still live within the mountain. Hovering large light on Mt. 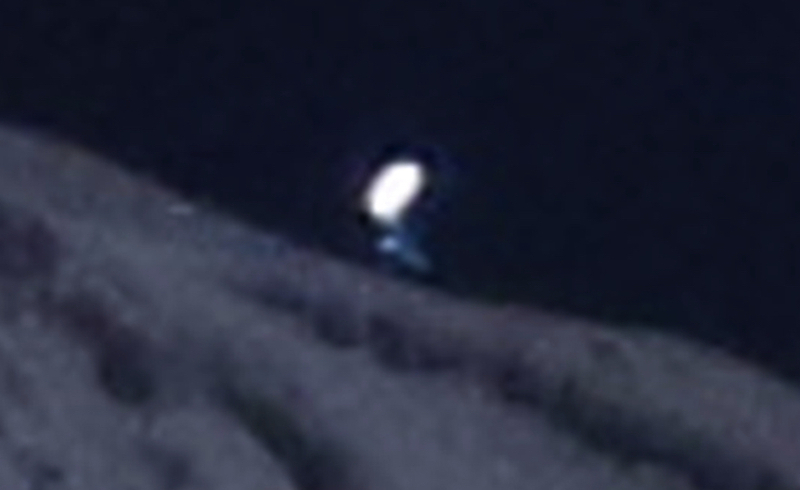 Shasta w/cigar shaped oject below to the right & then the light took off and the object was no longer seen on the mountain. I found this ancient tech on Mars in four separate NASA photos. It appears to be broken off something much bigger and more complicated like a robot. Just look at it. You can see that so much tech was built into this shard. Not just built in, but on a nano scale. What I'm saying is that this small piece of tech could hold an AI conscienceless within it, alien software programs that could possible change our entire planet if it was in the right hands. I wonder what NASA did with it when they saw it? And if they had the rover look it over more carefully? The skies above Beijing lit up with glowing areas of white light that seemed to have no particular pattern or reason. The lights caught the attention of most of Beijing, but it was seen by people that were 100 km away! That means the UFOs went to many locations, not just over Beijing. Also look at the photo above. The light is lumpy and contained. That means its not a spotlight from the ground. A spotlight would spread the light evenly in all areas and cannot make lumps like this in the clouds. 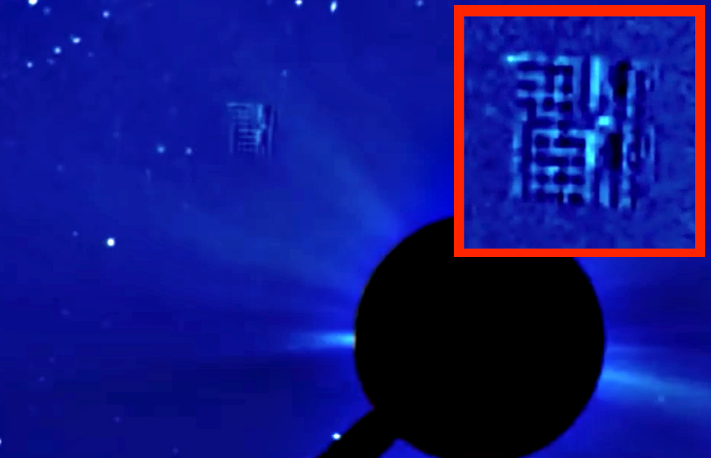 According to the video, the lights suddenly appears as a group of spots, and then spreads into a plurality of spots, and moves quickly, sometimes ring-shaped, and sometimes resembles a pattern, and sometimes becomes another irregular pattern. 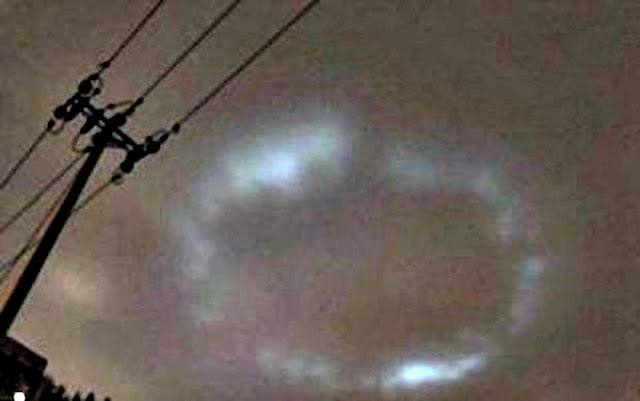 Some eyewitnesses said that similar sightings of lights were occurring in different places in the country: "Shijiazhuang also has it." "Henan and Guangzhou can see." "Tianjin Langfang Shijiazhuang Tiandu with color, please explain?" "Zhengzhou also had some time ago." I thought it was a big corn light show , and the old family who were 100 kilometers away also saw it." "Why did you see it at the same time in the country yesterday?" "There is no similar light in Tianjin." "I saw it in Tianjin at 7 o'clock." "Shenzhen also had it last night." "Tianjin also has, around 9 o'clock, I saw!" 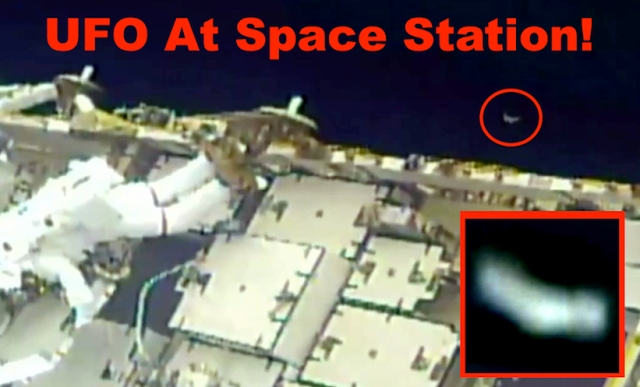 I was watching the international space station spacewalk with Christina Koch and Nick Hague, when I noticed a UFO in the far right side of the screen. You can see the edge of a disk and it rises, then stops, then continues to rise again. The people at mission control didn't see to notice the craft as it passed. Mission control seemed too worried about getting some repairs finished correctly. It looks like aliens waned to take a peek at what Christina and Nick were up too. Its not often that they get to see a human female making history on a spacewalk. For all we know, the aliens watching might not have a male/female species and may be very curious about how they work together. 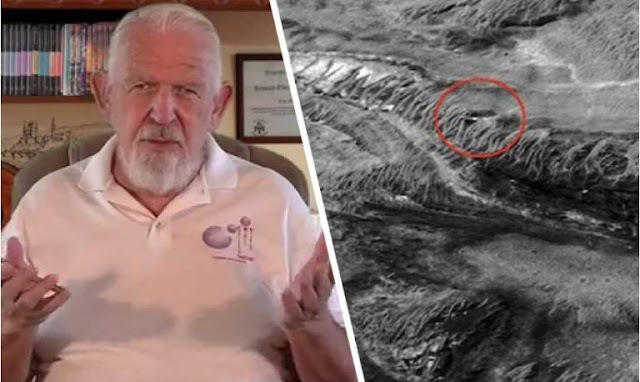 A former employ of the US governments top secret program in the late 1980s, Lyn Buchanan became known to the public when declassified documents of the US governments Remote Viewing project came to light. The program used CRV (controlled Remote Viewing) which was focused on specific targets and locations to gather intel. Basically, Lyn uses his focused thoughts and energy to learn about targets. This is very similar to telepathy. If he used it to send a mental message it would be telepathy. His training made him possibly the best in the world at this area. Hungarian amateur and photographer astronomer Ivan Eder of Budapest was observing the moon when he suddenly noticed that a huge edge of a giant planet seemed to be revealing itself. The white edge appearing in the photos seemed to be that of giant plant revealing itself for a few seconds. Ivan couldn't find any rational explanation for the sudden appearance this giant crescent shape. There are two explanations for such an occurrence. First the planet itself may be in another time line and is revealing itself due to a disturbance in the time line...like a black hole near it or possibly the inhabitants are experimenting with time travel. In other words, this could be earth from another time line we are looking at. I believe this theory to be true. The second possibility is that this is the ancient planet Nibiru whose orbit passes Earth once every 15,000 about. I hope its not Nibiru. The planet is said to have an incredibly ancient species on it that is using Earth as a experiment for studying stages of their own past. Every few orbits, drastic changes on earth are made. Species go extinct, and new species appear. That is why there are many gaps in the record of human evolution. As every scientist knows, scientific subjects like rats, dogs, cats used for testing, once finished, must be exterminated (killed), so that the lab experiment doesn't pollute other future experiments. 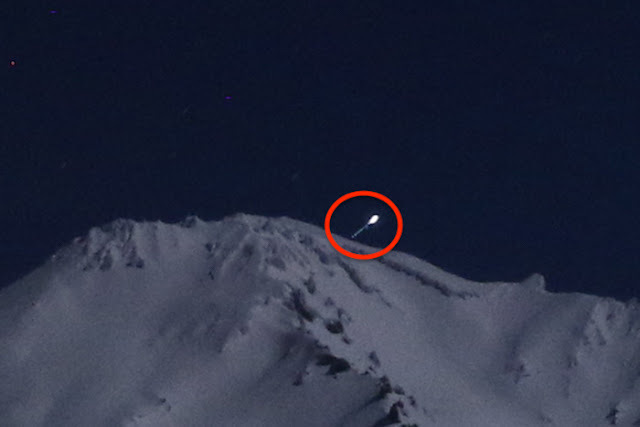 The eyewitness accidentally captured a UFO near a volcano in Spain last week. 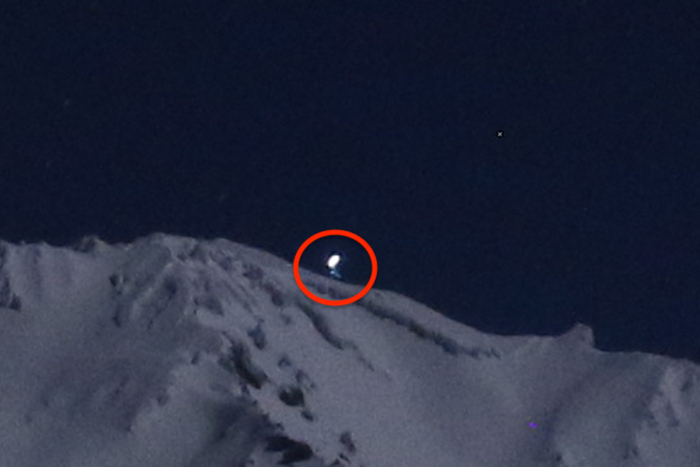 The UFO appears in one photo just above a group of people trekking up the mountain. 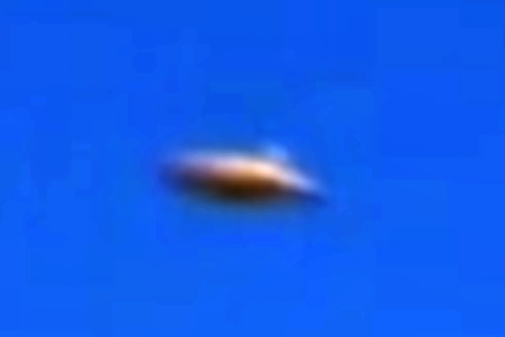 When I make a close up of the UFO, I see there are no wings, no contrail, but it does appear to be a disk with a dome on its top center. UFOs are seen in mountain areas because many alien bases are hidden in remote location so that humans wont stumble upon them. Awesome capture. Check out this amazing discovery near our sun. The giant cube got caught again and this time it looks 3D. You can really see two sides of the UFO very well. Its similar in structure to a Borg cube from Star Trek. Its seen visiting our sun every few weeks on the SOHO/NASA sun images. 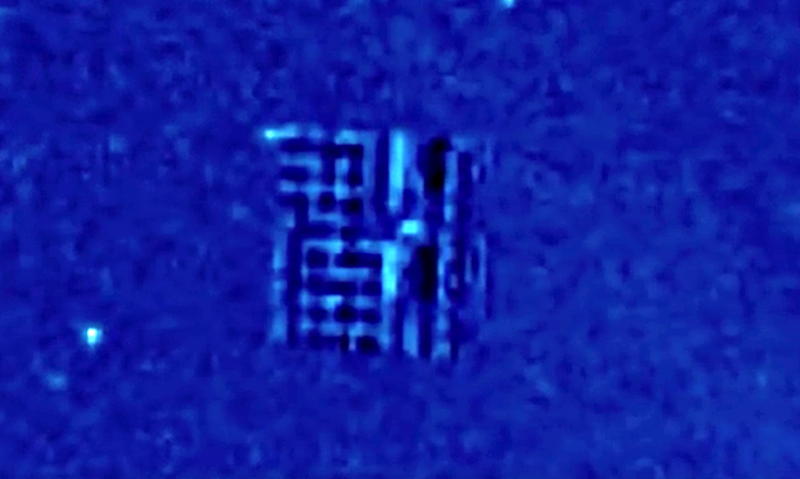 It must be very close to the SOHO satellite because it looks huge! 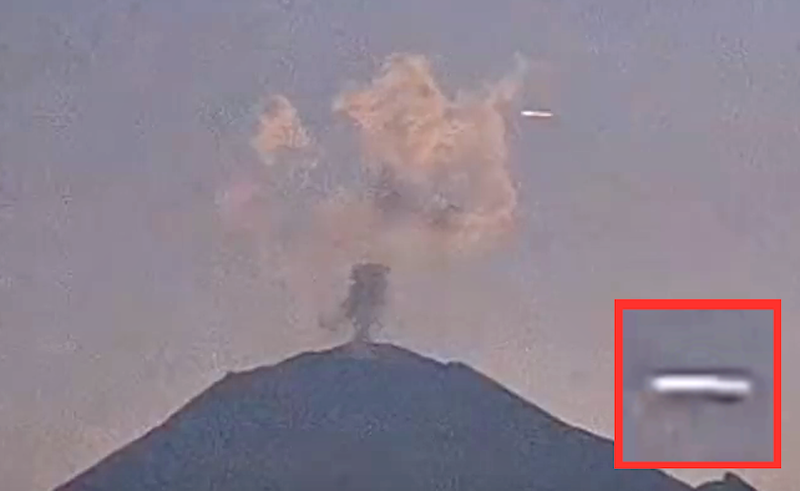 Here is a great video of an eyewitness who caught a UFO flying through the smoke of the famous volcano Popocatepetl. The UFO appears to be a large disk viewed from the side and passes right through the smoke and over the mouth of an active volcano. No plane would ever dare to fly that close to this live volcano. Also its impossible that its a plane. The mouth of the volcano is 600+ meters across according to Wikipedia. That would make this flying object 200 meters across! Have you ever heard of a plane 200 meters long? Nope. So this is 100% evidence that aliens are active in Mexico. 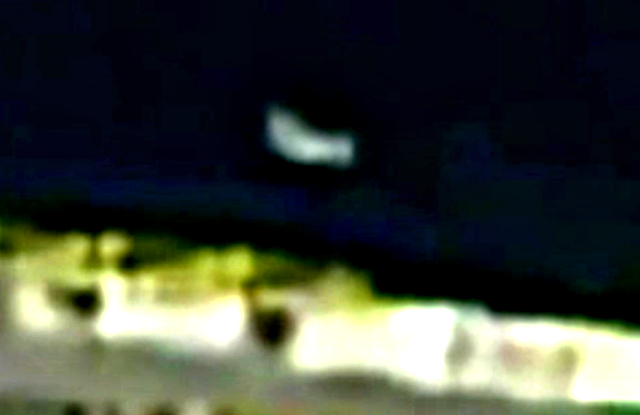 UFO seen at Jerusalem, over Dome of Rock temple seen by over 10,000 tourists, Jan 28, 2011, UFO Sighting News. 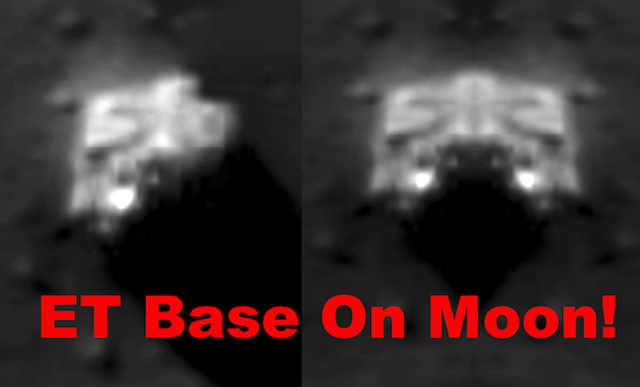 ET Data Base, UFO Sighting News By Scott C. Waring © 2016-2017. All Rights Reserved.